Most of us look forward to the festive season – the opportunity to enjoy the warm weather, be with our families and further tempt our taste buds, indulging (or overindulging) in delicious extravagant food and a variety of different beverages. The festive season for some is not the joyous occasion the majority of us take for granted, with the pleasure of eating and drinking resulting in discomfort or in some cases pain causing burning sensations which rise from the stomach and or lower chest extending up towards the neck known as heartburn. 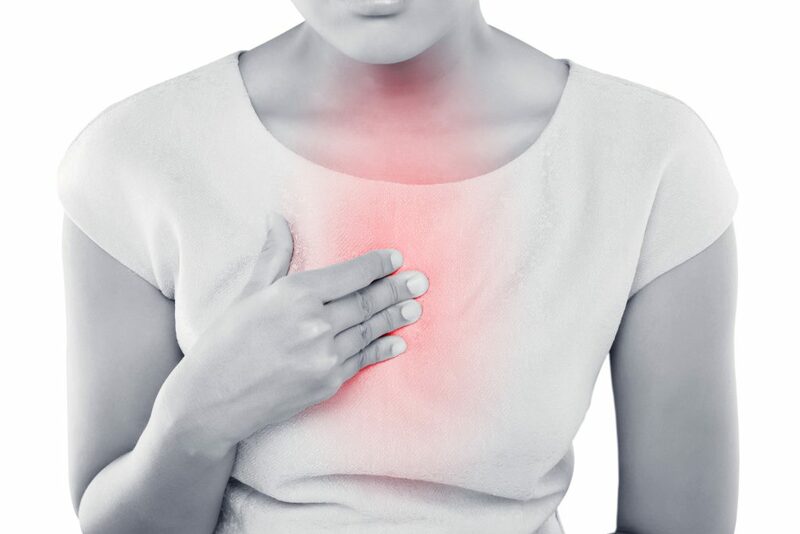 Heartburn symptoms can occur at any time but mostly occurs after eating and drinking. The “burning feeling” (as heartburn sufferers call it) is caused by acid and other stomach juices leaking up (refluxing) from the stomach into the oesophagus (the passage between your stomach and your throat). It is not uncommon from time to time for people to experience heartburn symptoms. The good news is this resolves quickly but for others however heartburn occurs on a regular basis known as GORD (gastroesophageal reflux disease) and requires medication to prevent reoccurance. There are a number of interventions to assist in heartburn prevention. Medication treatment, of which there is three categories for the treatment of heartburn is readily scripted from your General Practitioner. Antacids – Medications that neutralize stomach acid. This medication provides instant relief but does not assist in the prevention of heartburn symptoms. Known Antacid brands available in New Zealand are Mylanta, Gaviscon and QuickEze. Proton Pump Inhibitors – Medications that block stomach acid production and help to heal the oesophagus. Known Proton Pump Inhibitor brands available in New Zealand are Losec, Omeprazole, Pantoprazole and Lansoprazole. If you are experiencing any of the symptoms above, a visit to your General Practitioner should be high on the priority list so that you can spend this special time enjoying a wonderful Christmas and the best for the new New Year ahead symptom free. Merry Christmas – be safe in the festive season and enjoy the company of your loved ones and family. During November we farewelled Dr Jennifer Cunliffe. Jennifer worked on and off as a locum during the year. She returns to England early next year to continue her General Practice qualifications. We wish Jennifer the best for the future. On December 12th we will be welcoming Dr Rebecca Higgins to the practice as a full time employee. Rebecca went to school on the shore and continues to live in the area. See the next AUT Millennium Newsletter to find out more about this new amazing doctor joining our practice. The team at HealthZone Medical wish everyone a Merry Christmas and a Happy Healthy 2017.